The missile, which was tested at Kalaikunda Air Force Station, "successfully engaged a manoeuvring target with high precision meeting the mission objectives". 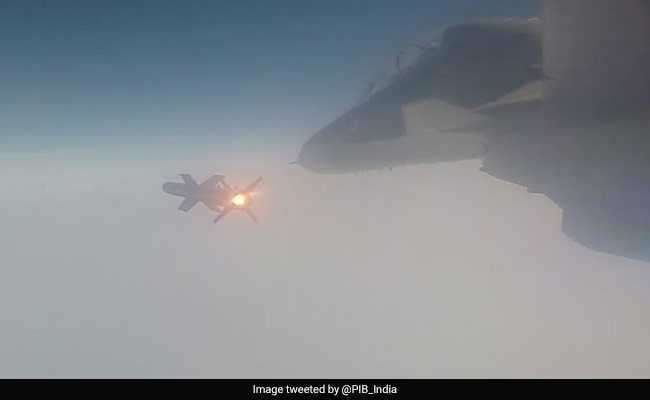 The Indian Air Force (IAF) on Wednesday successfully test fired the indigenously developed Beyond Visual Range Air-to-Air Missile (BVRAAM) Astra from a Su-30 aircraft, the Defence Ministry said. The missile, tested at Kalaikunda Air Force Station, "successfully engaged a manoeuvring target with high precision meeting the mission objectives". In the series of trials held till date, Astra has been launched in the complete Su-30 flight envelope. The flight test assumes significance as it was part of the series of final pre-induction trials. Astra, deemed to be the best in class weapon system, has undergone more than 20 developmental trials. Defence Minister Nirmala Sitharaman, while lauding the efforts of the IAF, the Defence Research and Development Organisation (DRDO) and other teams involved in the mission, said India had attained a high level of capability in the indigenous design and development of advanced weapon systems.